A ramble through the woods, a stroll across a mountain meadow, or a strenuous alpine hike with the reward of a breathtaking vista – it all sounds idyllic until something goes wrong. As a former search and rescue volunteer and EMT, I’ve participated in too many wilderness searches that could have been avoided with a few precautions, a little know-how, and the right gear. Trust me – if golf is “a good walk spoiled,” so is a search for a missing hiker! If you’re planning to explore hiking trails in your region this fall and winter, know what is needed to have a fantastic outdoor experience (and make it home in time for dinner). Before setting out on any wilderness hike, download or buy a topographical map of the trail network so you’ll be aware of trail crossings and alternative routes. Consider hiking with a buddy, or, if you must hike alone, always tell a friend or loved one where you’ll be and when you plan to be back. Many trailheads offer “sign-in stations,” where hikers can register their presence. 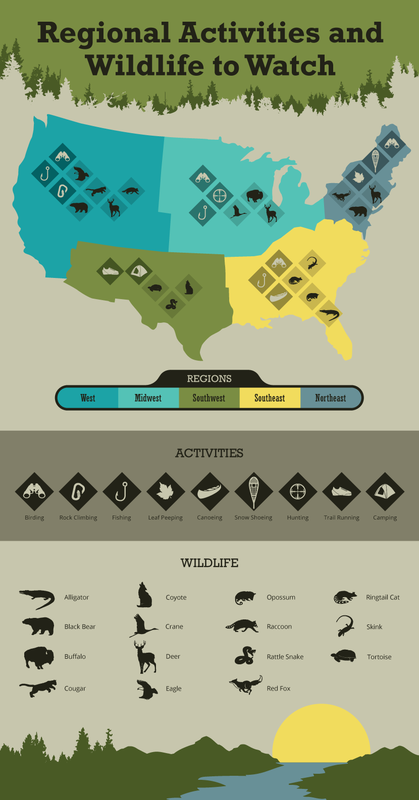 Lucky hikers will enjoy spotting wildlife en route; with very few exceptions, these animals will respect your presence if you respect theirs. Carrying bear spray is a good precaution against the rare event of an aggressive animal, but a camera will come in handy far more often. All five of the items above can be purchased for under $10 at any outdoor store or dollar store. Keep all five safety tools in your hiking day pack permanently to ensure they’re at the ready on every hike. 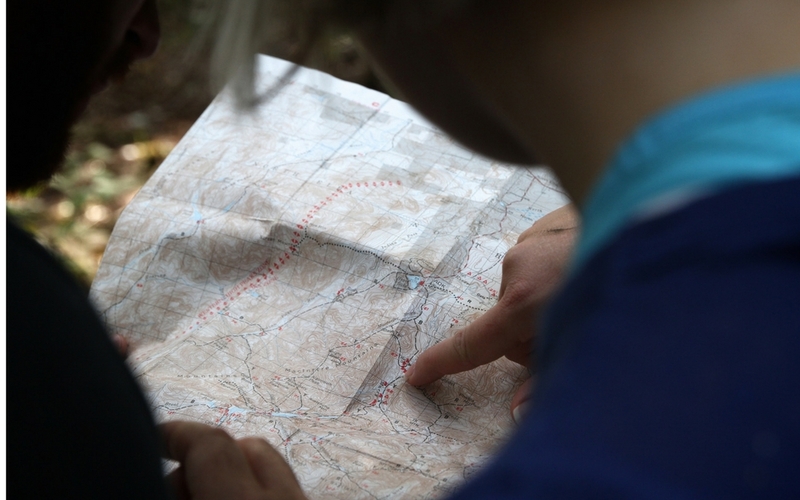 Read more about, “How Not to Get Lost While Hiking” from our friends at FIX.com here. Get a good compass with a sighting mirror and you won’t need the CD for flashing aircraft. Learn how to use compass and pacing. Practice with map and compass until you do not need to orient a map to the compass to read it (That takes a while!) Put away the GPS while you are moving; it becomes a distraction and can hurt your navigation rather than helping you. I have seen young people trying to go through the woods with their eyes on the GPS rather than observing where they are going and walking a straight line. The whistle is a good idea. I carried one for decades in case I fell into an abandoned well. I told my wife that I should carry a harmonica instead, so I could play more than one note while I await the inevitable. Use Google Earth to prepare for hikes. The maps are great. Topo maps help, too. Use Websoilsurvey.nrcs.usda.gov/ to get soil maps of the area you are visiting. When you become acquainted with soils and the descriptions, these maps are as informative as Topo maps, and become a good predictor of the type of vegetation you will be in. Foresters can’t do without them.